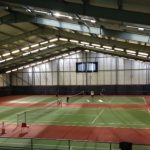 The tennis facilities in the club are second to none. 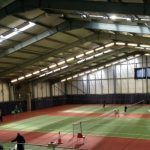 We have 10 outdoor all weather courts and 3 indoor courts, all of which are floodlit. The floodlights are operated using a smart card system. Each member is issued with a smart-card which can be topped up at the bar or on-line using our Smart Club Cloud system. Courts are reserved using our on-line court booking system. Adult changing rooms, showers, junior room, committee room on ground floor. Bar, snooker room, kitchen and function room on first floor. World-class instruction from professionals who have coached at every level from beginner to ATP & WTA Tour level. Click here for more details.